The newest assortment of DC Collectibles solicitations have been released. These new collectibles are scheduled for release in November. The newest solicits feature different versions of Batman and Batman related characters. These include a new 1/2 scale cowl, statues, and a mini figure set. Check out the list below. After the jump, check out the details and photos. DC DESIGNER SERIES: BATMAN BY FRANK MILLER STATUE DC ENGINES OF CHAOS: BATMAN STATUE BATMAN BLACK & WHITE: BATMAN BY JOE MADUREIRA STATUE DARK NIGHTS: METAL BATMAN: THE RED DEATH STATUE DC GALLERY: THE BATMAN WHO LAUGHS COWL BATMAN BLACK & WHITE » Continue Reading. 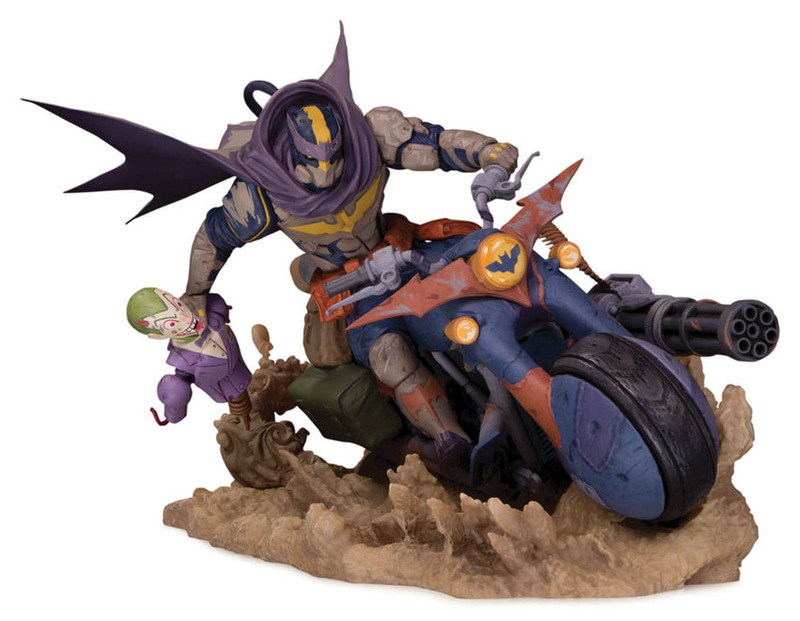 The post DC Collectibles Solicitations – Upcoming Batman Releases appeared first on The Toyark – News. In Stores Now from @CollectDST : Black Panther, Infinity War and Gwenpool!